Drug Delivery Resulting in Death is a type of Homicide charge in Pennsylvania. It has serious potential consequences. Fortunately, our Philadelphia criminal defense lawyers can help. If you are facing Drug Delivery Resulting in Death charges, our Philadelphia criminal defense lawyers can help. We have successfully defended thousands of clients in serious cases throughout jurisdictions in Pennsylvania and New Jersey. We offer a free criminal defense strategy session to each potential client. If you are facing charges or believe you may be under investigation for a drug-related homicide, call 267-225-2545 to speak with an experienced and understanding criminal defense attorney today. We will walk you through some of the potential defenses to this serious charge and explain how we can help you with your case. What is Drug Delivery Resulting in Death? Drug Delivery Resulting in Death is a relatively new charge in Pennsylvania. Although the statute has existed in some form for years, it was amended by the legislature in 2006 to make it easier for prosecutors to obtain convictions. It is a form of homicide which is very similar to third-degree Murder. It generally involves providing or selling illegal drugs to someone who uses those drugs and dies as a result. As amended in 2006, it is an extremely broad statute which can be used to punish drug dealers and drug users alike. The statute is overly broad because prosecutors may use it to bring charges against a drug user who shares his or her illegal drugs with a friend if the friend then overdoses and dies. Although the statute with designed with the idea of targeting real drug dealers, prosecutors are increasingly abusing it to target drug users. Thus, there is no requirement that the charges be brought only against a real drug dealer or in the context of a typical buyer/seller relationship. Additionally, the statute is extremely serious because of the potential penalties. As deaths from opioid overdoses have skyrocketed throughout the United States, prosecutors have recently signaled an increasing willingness to punish drug dealers and drug users alike by bringing homicide charges when a drug user overdoses. Although Philadelphia's new District Attorney is not particularly enthusiastic about bringing these cases, the United States Attorney for the Eastern District of Pennsylvania recently created a joint task force with federal prosecutors and state prosecutors in the counties surrounding Philadelphia which will focus on filing more and more of these cases when fatal overdoses result. Many prosecutors in the suburban counties surrounding Philadelphia are particularly enthusiastic about bringing these charges, including prosecutors in York, Lancaster, Bucks, and Montgomery Counties. Under state law, the offense of drug delivery resulting in death is defined as follows. (a) Offense defined.--A person commits a felony of the first degree if the person intentionally administers, dispenses, delivers, gives, prescribes, sells or distributes any controlled substance or counterfeit controlled substance in violation of section 13(a)(14) or (30) of the act of April 14, 1972 (P.L. 233, No. 64), known as The Controlled Substance, Drug, Device and Cosmetic Act, and another person dies as a result of using the substance. The victim died as a result of using the drug or controlled substance involved. Although the statute is somewhat vague, courts have repeatedly rejected challenges to it on vagueness grounds. Courts have also rejected challenges in which defendants argued on appeal that the statute requires some level of intent that the person die. The legislature amended the statute in 2006 to specifically remove the requirement that prosecutors show some form of malice. Instead, the prosecution must show only that the defendant intended to illegally provide the decedent with the drug and that the drug caused that person's demise. The elimination of the malice requirement allows prosecutors to target people who are not drug dealers. If two people buy and use drugs together, and one of them dies, prosecutors will often bring charges based on a theory that the surviving person handled the drugs and handed them to the decedent. The Pennsylvania Constitution provides that every criminal defendant has the right to a trial by jury in which the prosecution must prove each element of the statute charged beyond a reasonable doubt. Sufficiency of the Evidence - The prosecution must always be able to prove both elements of the statute beyond a reasonable doubt to a judge or a jury. Every criminal defendant in Pennsylvania has the right to a jury trial and a unanimous verdict from the jury when facing charges of this nature. In many cases, we may be able to challenge both whether the defendant actually provided the decedent with the drugs that led to the overdose and whether those drugs were actually the cause of death. If the prosecution cannot adequately prove that the drugs actually caused the decedent's death and it remains possible that something else led to the death, then that would be a defense to the charges. Expert Witnesses - Defending against Drug Delivery Resulting in Death prosecutions often involves retaining an expert toxicologist to challenge the Commonwealth's argument that the drugs actually caused the decedent's death. The toxicologists at the labs employed by the Commonwealth are not always as highly trained as independent experts and often feel tremendous pressure to provide police and prosecutors with the opinions that they want. This potential bias on the part of state lab technicians and police expert witnesses often requires that we retain an independent medical professional to review all of the evidence and determine whether there could have been an alternate cause of death. If so, then asking an expert witness to testify could provide a defense to these serious charges. This is particularly true where more than one drug is found in the decedent's system as it may be possible to show that it was the other drugs that led to death. Motion to Suppress - In many criminal cases, the charges depend on physical evidence obtained by police and incriminating confessions made to detectives. The Pennsylvania and United States Constitutions have been interpreted by appellate courts to generally prohibit prosecutors from introducing evidence at trial if the police violated the law in obtaining the evidence. Many of these drug homicide cases are made through the use of incriminating text messages and confessions. Police must obtain a search warrant or consent prior to searching a cell phone, and they must provide Miranda warnings prior to conducting a custodial interrogation. If the police conducted an illegal, warrantless search or interrogated a defendant without providing Miranda warnings, it may be possible to have the resulting incriminating evidence suppressed. We are well-versed in Fourth Amendment search and seizure law and know how to protect your rights. If law enforcement violated your rights in building the case, we will file a Motion to Suppress asking the trial court to exclude the illegally obtained evidence. A successful Motion to Suppress could lead to the dismissal of the charges if the prosecution does not have sufficient admissible evidence following the granting of the Motion. Negotiations for Lesser Charges - In some cases, the prosecution may have a strong case and it may make sense to pursue negotiations for the lowest possible sentence or reduced charges. Our experienced defense attorneys can work with you to put together a strong mitigation packet to show the District Attorney's Office why they should consider reducing or dismissing the charges or agreeing to a sentence below the guidelines. Often, we recommend pursuing both approaches at the same time - fully investigating the case and preparing for trial, and presenting the strongest possible mitigation package in case the evidence against the defendant seems likely to result in a conviction. There is no mandatory minimum sentence for this charge, so it is important to be prepared for trial, negotiations, and a potential sentencing. Defense Attorney Demetra P. Mehta, Esq. A conviction under this statute is extremely serious and likely to be punished with significant jail time. In many ways, the charge is punished similarly to Third Degree Murder. The sentencing guidelines for a conviction are very similar to those which a defendant would face following a conviction for Third Degree Murder. The statute permits prosecutors to seek a sentence of up to 40 years in jail, which is the same maximum sentence for Third Degree Murder. Under Pennsylvania law, judges are required to consider the state sentencing guidelines when deciding on what sentence to impose following a trial or guilty plea. The sentencing guidelines provide the judge with a recommended range of minimum sentences based on the defendant's prior record and the seriousness of the offense. The seriousness of the offense is reflected in the sentencing guidelines by the Offense Gravity Score for the offense. The Offense Gravity Score for a Drug Delivery Resulting in Death conviction is 13. An OGS of 13 is the second highest possible Offense Gravity Score under Pennsylvania Law. This means that the recommended minimum range for a sentence following a conviction or plea would be 60-78 months in jail plus or minus twelve months, meaning a court could impose anything from 5 to 6 years as the minimum sentence and it would be very difficult to appeal. However, there is no mandatory minimum for this charge, so in many cases, it may be possible to seek a lower sentence in plea negotiations with the prosecution or to convince a judge to depart from the sentencing guidelines if the defendant has strong mitigation evidence such as the lack of a criminal record, strong family and community support, a work history, and other relevant factors. Given the extremely high potential maximum sentence and recommended guideline range, it is extremely important to take Drug Delivery Resulting in Death charges seriously. You should speak with an experienced criminal defense attorney immediately if you believe that you are facing charges or under investigation. Will I Get Immunity if I Report a Drug Overdose and the Person Dies? No. If you sold or gave drugs to someone and they die as a result of using those drugs, Pennsylvania's Good Samaritan Law or Drug Overdose Response Immunity statute will not protect you from criminal homicide charges. 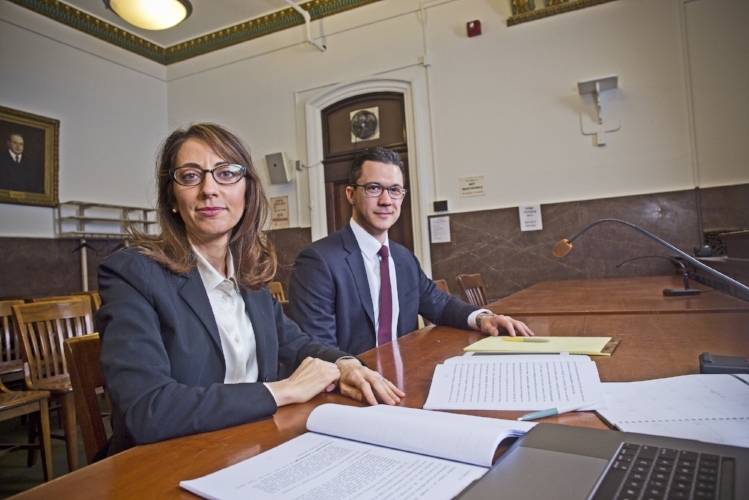 Pennsylvania's Drug Overdose Response Immunity statute only provides protection against prosecution for minor criminal charges and probation violations related to drug possession. The Pennsylvania statute provides immunity to prosecution for minor, misdemeanor drug offenses such as the knowing and intentional possession of a controlled substance for personal use and possession of drug paraphernalia. It also provides immunity against violations of probation and parole. This means that if the person does not die or the police cannot prove that you provided the person with drugs, then you could not be prosecuted for misdemeanor possession or a probation violation. However, if the person dies and there is evidence that you provided the drugs to them which caused their death, the statute would not prevent prosecution for the more serious felony offenses with which you could be charged. For example, the statute does not provide immunity to Possession with the Intent to Deliver charges or the extremely serious and increasingly-prosecuted homicide charge of Drug Delivery Resulting in Death. The lack of immunity against more serious charges result in a very difficult situation for someone who observes a friend suffering from a drug overdose as the person must choose between getting help and risking criminal prosecution and failing to act and serious bodily injury or death occurring to the other person. Of course, making the decision to call 911 and get help is a factor that a prosecutor could consider in deciding whether or not to bring charges in the result of an overdose. However, it is important to remember that you should always speak with a criminal defense attorney before making any statements to law enforcement officials. The answer to this question is easy. If you believe you are under investigation for any kind of criminal charge, you should contat one of our criminal defense attorneys immediately. You are never required to give a statement to police or prosecutors, and you always have a right to have an attorney present during questioning. If you could be facing criminal liability as a result of an overdose death, you should always speak with an attorney prior to making a statement. If you say something incriminating or inaccurate to a police detective, it is very likely that the statement will be used against you when police decide whether to bring charges and subsequently in court. In this video, Attorney Goldstein explains your Fifth Amendment right against self-incrimination and when you should revoke this right. It is one of the most important rights available to citizens of Pennsylvania and the United States because there is rarely anything more damaging than a confession at trial. If you or a loved one are charged with Drug Delivery Resulting in Death or believe that you may be under investigation, you need an experienced criminal defense attorney to begin planning your defense immediately. Our top-rated, award-winning defense lawyers have successfully defended thousands of clients. We have obtained reduced charges and sentences at trial, pre-trial hearings, and in negotiations with the District Attorney, and we have won acquittals in in serious cases where the police or prosecutor charged the wrong person due to questionable evidence and suspect witness testimony. A great criminal defense attorney could make all the difference in your case. Call us at 267-225-2545 for a complimentary 15-minute criminal defense strategy session today. We have received your message. One of our defense attorneys will contact you shortly to discuss how we can help.